When meeting business owners at networking events here are the books I find myself recommending. The authors of E Myth Revisited describe why businesses with a single owner and no employees will struggle to survive and potentially fail. It encourages business owners to create systems that can then be delegated to employees and monitored for quality as the business grows. Targeting service businesses, Get Clients Now provides a sales system to grow your business over the next 28 days. The best part of this book however is how it approaches and describes the process of selling as a system. I particularity enjoy how it lists all of the ways a service company can market itself and priorities the ways by their effectiveness. Many of the companies I meet have difficulty differentiating themselves from their competitors. For me The 22 Immutable Laws of Marketing gives intriguing examples of how other companies have successfully marketed themselves to become leaders in their industries. Over time a lot of people have pitched their business ideas to me and many of the ideas have excellent potential. But before I recommend they invest their time and money into an idea, I highly recommend they find paying clients for their idea first. This suggestion can be very difficult to do for most and can even seem counter intuitive. 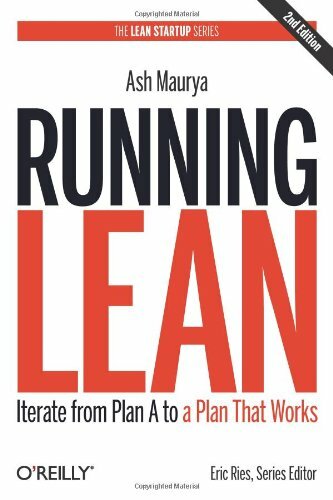 The book Running Lean does an excellent job of explaining why this approach is important, and explains the benefits of engaging your customers throughout the entire development cycle. It also discuses business models and explains why a business model for a product can be more important than the product itself. Have a favorite business book of your own? Reach out to us and let me know what you would recommend!